As a State Republican Executive Committeeman (SREC), I am elected to represent the Republicans in 16 counties in East Texas. Cherokee County is one of my counties. It is a great county with many good Republicans. However, there is also a bunch of corruption, mostly stemming from "good old boy" Democrat networks because Democrats have long been in power in East Texas. For the last year, there has been controversy swirling around about the County Republican Party Chairman. Steve Looney was elected into his position when several Democrat officials switched Republican and supported Looney as the chairman. Don’t get me wrong, I want all the good conservative Democrats to wake up and switch Republican. I welcome that. Not everyone who switches are good people though, and certainly some of them do it just so they can still get elected. There was not much I could do for Cherokee County though because the county chairman is an elected position, so I just told the people of Cherokee County that if they do not like their chairman then they need to just elect a new one. This kind of thing is best handled at the local level by just electing someone new if they do not like their current chairman. The SREC cannot really even do anything anyway because, like I said, we cannot remove an elected official from office. If things get bad enough, then the SREC can pass a resolution opposing the actions of a county chairman and asking that chairman to step down, but we cannot remove anyone. We actually just recently passed a resolution disapproving of the inappropriate actions of the Upshur County Republican Chairman. I received a call from a Republican in Cherokee County a couple of days ago. I was told that Steve Looney was arrested. Steve Looney is innocent until proven guilty, but this is still very disappointing and gives the good Republican Party of Texas a bad image. 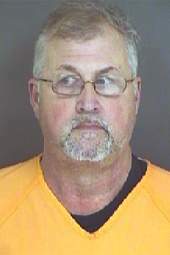 There are other candidates running for Cherokee County Republican Chairman and I would imagine that, after this arrest, Looney will probably not be elected again. Stephen Looney turned himself into the Cherokee County Jail Monday on charges of tampering with government records with the intent to defraud or harm, and theft of property greater than $500 but less than $1,500 by a public servant, according to documents from the Cherokee County Sheriff’s Office. Both are state jail felonies. “The things that he’s done has given a black eye to the party,” Morris said. “The longer he stays as chairman of the party I think the more damage we’re going to have in the eyes of the public.” Morris said he did not want Looney to seek reelection in the next round of primaries. Republicans and independent thinkers cannot circle the wagon along party lines in corrupt podunk East Texas towns like those in Cheorkee County. You are correct that a lot of former Democrats switched over to the Republican ticket, but there are also many equally corrupt Republicans holding office. As Republicans it is our duty to clean our own house and get rid of the dirty members. Unfortunately, both sides of the ailes (R and D's) are filled with the corrupt good ol' boys and gals in counties such as these. Smart people should not live there, do business there or send money to help. What are Republicans supporting in Cherokee County? Illegal activities by sheriff deputies and voter fraud in the name of "the greater good," i.e. State Reps and Senators from Jacksonville, TX. Judges who are as ignorant and arrogant as the day is long, that's Republicans getting elected and doing that. Meanwhile, the Democrats drain every penny out the coffers and elect some of the lowest forms of genetic waste to ever set foot in a rural courthouse. It's a lost cause. Get out and stay out.